EDF Energy has delayed restarting two nuclear reactors at Hunterston in Ayrshire because of growing concerns about their safety. In the last few months, 370 cracks have been identified in the graphite core of reactor three and an estimated 200 cracks have been found in reactor four. The Office for Nuclear Regulation, a government quango, says the operational safety limit is 350. 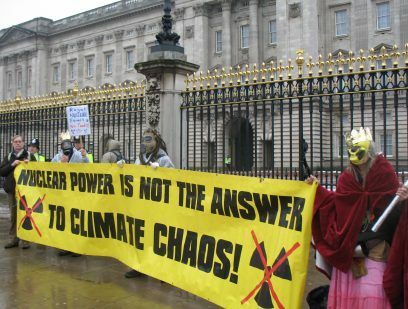 Nuclear policy consultant and CND council member, Dr Ian Fairlie, has warned that restarting the reactors could lead to a major nuclear accident. The reactors originally started producing energy in 1976 and they were due to close in 2006, but EDF Energy now plans to keep them going until 2023. The energy company has struggled to persuade the regulator they are safe enough to be restarted since they were paused in 2018. The energy company has argued that limiting the number of cracks to 350 is too strict and has suggested substantially increasing the limit to 700 cracks. “These reactors must not be allowed to restart – it’s clear the dangers are too great. On the eighth anniversary of the Fukushima nuclear disaster, we are reminded that nuclear accidents do happen even with tough nuclear regulations. The government must not be pressured into loosening rules as EDF Energy has suggested.